After graduating high school, Down attended the American Academy of Dramatic Arts in Los Angeles, California, and from there went to England to study with the British American Dramatic Academy in Oxford. 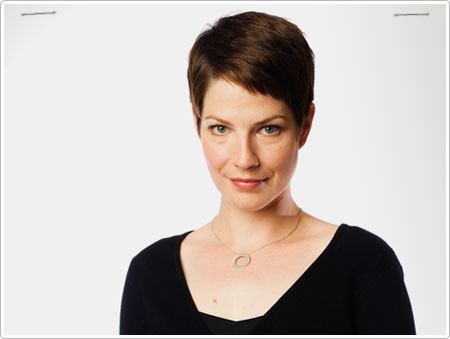 She then returned to Vancouver and began pursuing her craft professionally, and since has had roles on such television series as Cold Squad, for which she won both a Leo and a Gemini award, Da Vinci's Inquest, The Collector, Killer Instinct, The Dead Zone, Stargate SG-1, and a recurring roles in Smallville and Battlestar Galactica as well as a two-year run on Mysterious Ways as "Miranda" for NBC and PAX. She also starred in The Life, a MOW for CTV, directed by Lynne Stopkewich and produced by Chris Haddock. She has also had leading roles in the independent feature films Bad Money, Late Night Sessions, The Good Burn and Control Alt Delete. Her selected stage credits include Hurley Burley at the Waterfront Theatre in Vancouver, and Brutality of Fact and Rumours, both in Los Angeles.